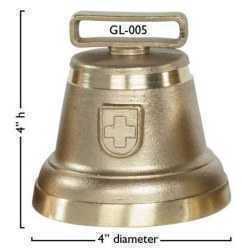 Glocken style – cast metal bell GL-005 w/o. 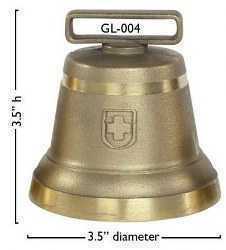 This Glocken bell is 4” in diameter and sold without strap. Handcrafted in Switzerland. 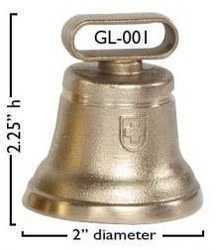 Glocken style - cast metal bell GL-004 w/o. This Glocken bell is 3 1/2 " in diameter and sold without strap. Handcrafted in Switzerland. Glocken style – cast metal bell GL-002 w/o. 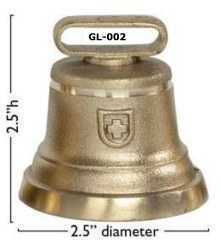 This Glocken bell is 2½” in diameter and sold without strap. Handcrafted in Switzerland.